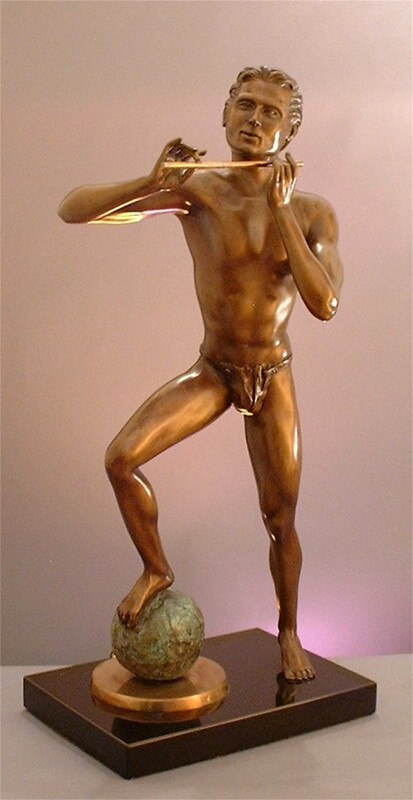 Ms. Wynham creates original bronze pieces in the ancient lost-wax process. Devoted to spiritual themes, her work is contemporary, yet classical. 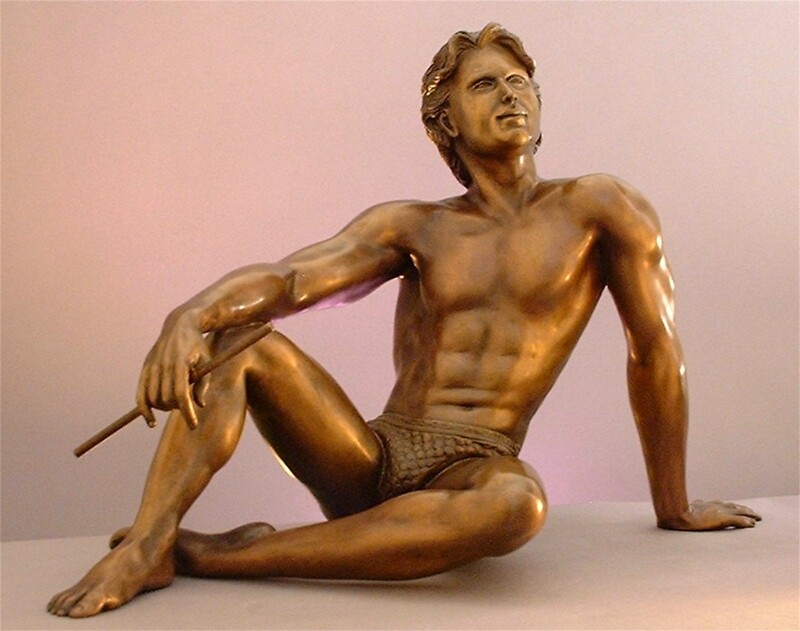 Each piece is available special order in bronze. 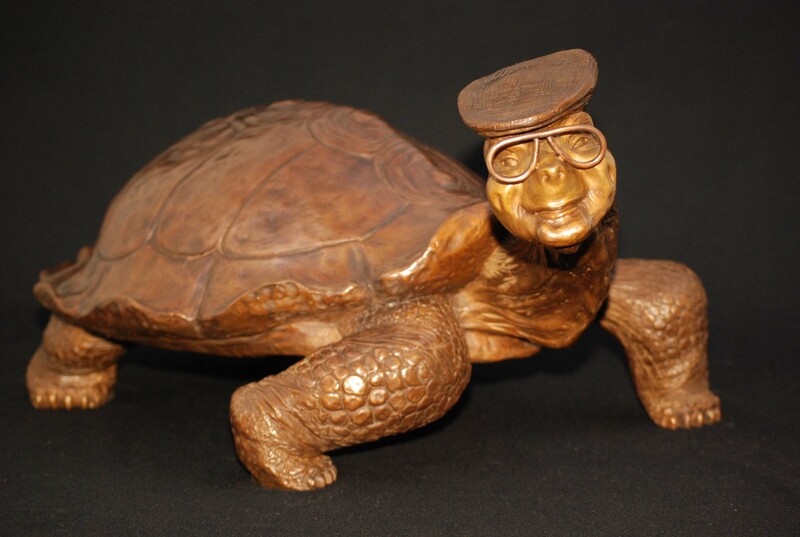 This whimsical piece was commissioned as a tribute to Pierre Cossette, the founder of the Grammy Awards. His sparkling personality shines through the dimpled face of this charachater that has been installed in the garden of his home in La Quinta, CA. 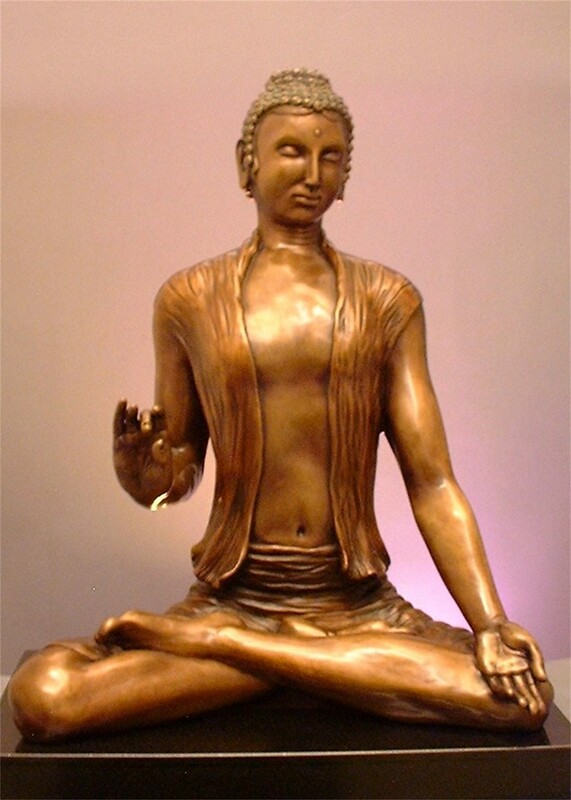 This original bronze represents Buddha in his early emerging state of meditation. As the Prince, Siddhartha, finds the path to enlightenment and becomes a Buddha, he embraces compassion for humanity. “The Lord of the Flute” gazes upon the world with love and compassion, knowing that within each heart there is Divine Peace. Krsna, sometimes known as the “Lord of the Flute”, melodiously plays while putting the universe into a peaceful trance. Listen for the flute within and capture the essence. Dancing in the forest, Lalita becomes enchanted by the sound of the Lord’s flute. 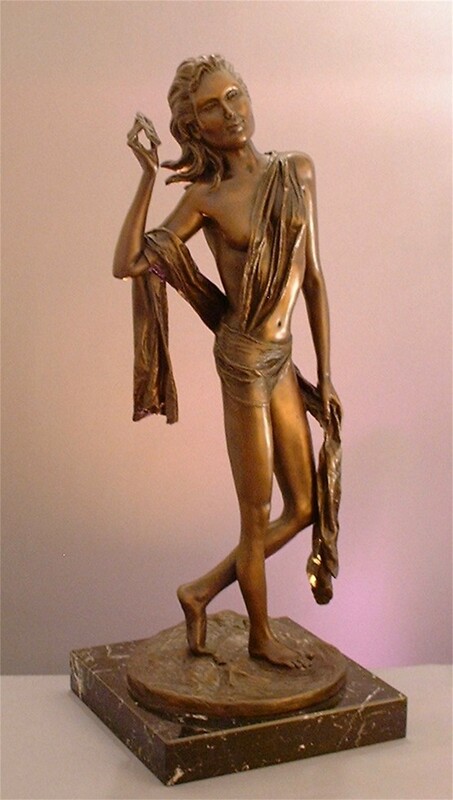 Bronze, 22″h, Limited Edition, Special Order.